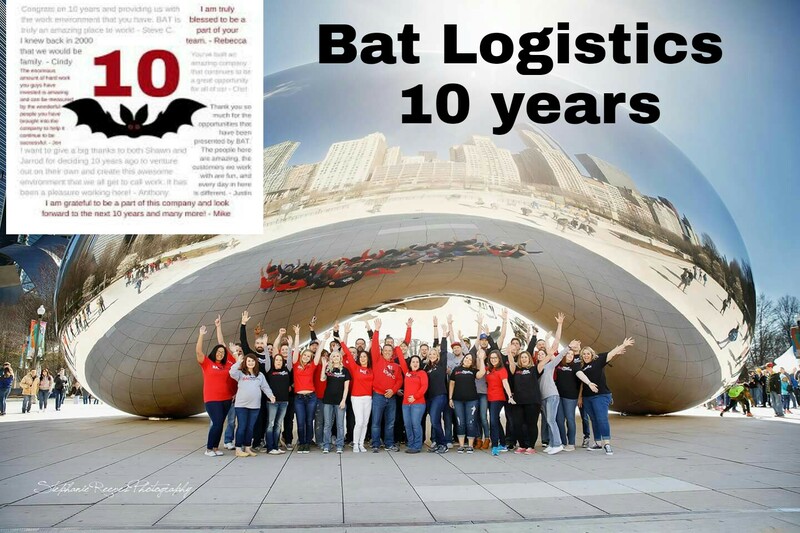 Every year, BAT Week is a big deal for us with dress-up opportunities and games to celebrate the anniversary of Shawn Rorie and Jarrod Marinello starting BAT Logistics. 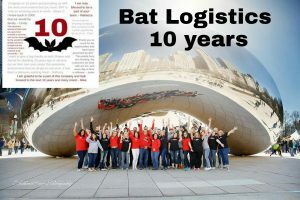 It’s a week-long birthday party, and this year we hit double digits. On Monday, there was an Easter egg hunt around the office. 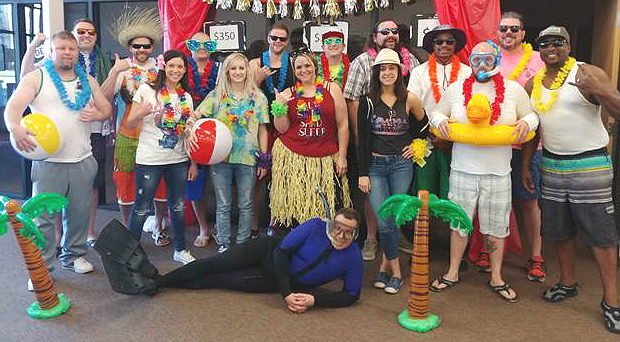 The 200 eggs contained prizes for anyone who found one – candy, trinkets, and tickets that could lead to winning gift cards. Our team dressed as nerds, with Steve Coenen being voted top nerd. Some would say we expanded on the nerd theme Tuesday with a Star Wars dress up contest. 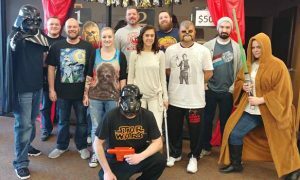 Even though there were two Darth Vaders in the office, Jedi Master Ashley Jankowski defeated the competition. Tuesday was also secret mission day. Everyone was given a different office mission to complete, and the winner was the person who completed their mission without getting caught. Larry Christiansen won the game by photocopying his face and posting it on the bulletin board. Wednesday was likely the scariest day as it was the day everyone was encouraged to dress as the opposite gender. 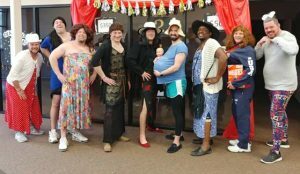 Larry Christiansen and Jared Kutschara were voted best dressed. The game was barter puzzle. 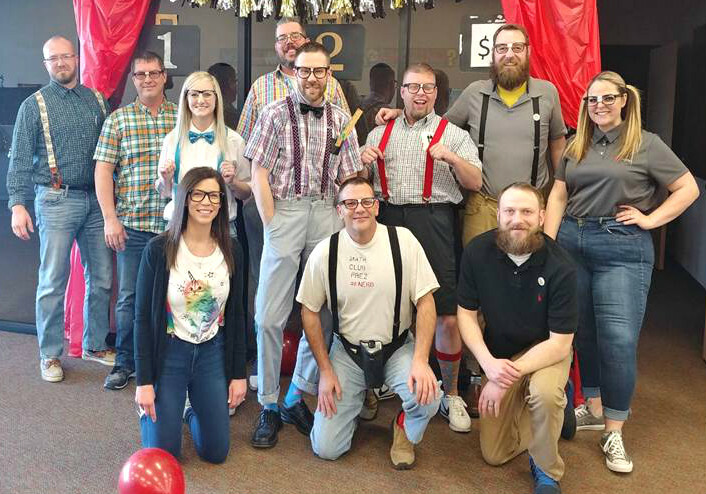 The office was divided into small teams, and each had to barter with other teams to get the puzzle pieces they needed to complete their puzzle. Rebecca Reed, Nicole Thomsen and April Kielion won and earned a $25 gift card. 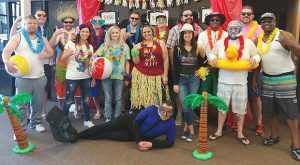 The beach came to us on Thursday, as we got to dress in our best beach attire. The game for Thursday was guess how many in the jar. There were 10 jars, each filled with different items from candy to ten dollar bills (and one well-hidden five dollar bill). The person with the guess closest to how much was in a jar won the jar. Joe Kier won the jar of dimes and Chet Palmer won the jar of bills, both which happened to contain $365, the profit of BAT’s first load. 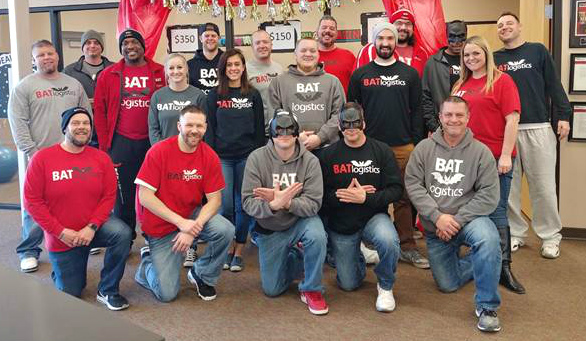 We ended the week with our usually most popular dress up day, BAT Spirit. Everyone showed up in the favorite BAT gear and accessories, as well as some accessories normally worn by a comic book vigilante. 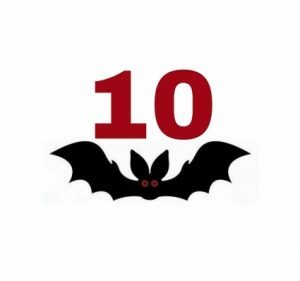 Everyone earned a $300 prize for their BAT Spirit. The game was BAT Bingo, with cards filled with things that normally happen around the office. When anyone got a Bingo, they received a gift card. We were also treated to amazing local food throughout the week including Jo-On -The-Go, Piccolo’s Food Truck, and Nothing Bundt Cakes.